Ocho Rios is a large cruise port on the northern coast of Jamaica and located in the Caribbean Sea south of Cuba. Ocho Rios has long been a favorite destination for honeymooners and vacationers, such as Jamaica Cruise visitors. The tropical climate makes outdoor Ocho Rios cruise excursions very popular. 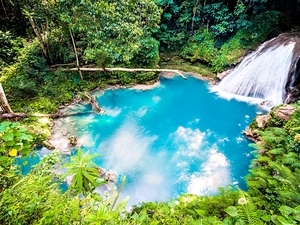 Ocho Rios Jamaica does not get its name because of 8 Rivers in the area but rather from the Spanish words "Los Chorreras" meaning rapid water. Dunn's River Falls is one of the most iconic landmarks in Jamaica. Climbing the falls is a popular activity. We offer the absolute best options for your tours and cruise shore excursions in Ocho Rios! 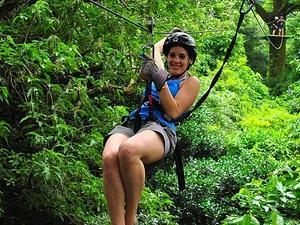 Canopy Zip Line course (6 platforms and 5 zip lines)! A fun combo adventure at Mystic Mountain. Ride a chairlift up a mountain through a rain forest, then go on a Bobsled Ride, and end up with a zip-line experience to top it off! 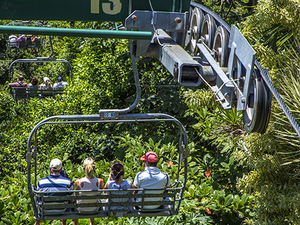 Here's the way to combine beauty and thrills by visiting the Ocho Rios Mystic Mountain Park. Ride the famous Bobsled Ride, inspired by the Jamaican Olympic Bobsledding team! Round trip transportation from your Ocho Rios cruise ship terminal! Air-conditioned, official, fully licensed and insured Ocho Rios Shore Excursion transportation! English speaking certified Ocho Rios cruise excursion guides! All park entrance fees to two of the top attractions in Jamaica! Jump, dive and swim in the Blue Hole waterfalls! Climb up Dunns River Falls! 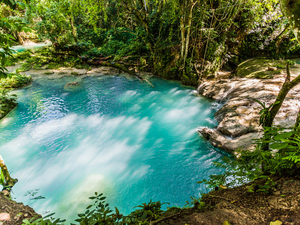 Two of the top wold famous Jamaica nature attractions in one Ocho Rios Excursion, take a dip in the Blue Hole waterfall in the middle of the jungle surrounded by tropical foliage and experience the well-known Dunn's River Falls as well! Delicious Jamaican lunch at beach location! Naturally flavored waters and soft drinks! Visit the famous Blue Hole river and waterfall that is rated the #1 place to see! Travel down the Rio Bueno river by kayak, board, raft, or tube. Then enjoy a great lunch on a private beach with spectacular views. Round trip transportation to and from your Ocho Rios cruise ship terminal! All you want lunch buffet and open bar (with both alcoholic and non-alcoholic beverages)! Swimming pool, jacuzzi, lounge chairs, towel service, snorkel gear and more included! Spa services available at an extra cost, book onsite! Children's pool, play area and activities! Option to stay longer and return on your own! Limited to 50 all inclusive day passes per day! 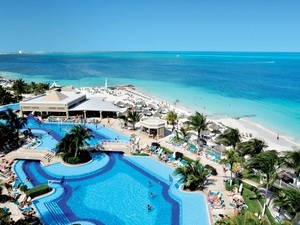 Enjoy a fun, relaxing all inclusive day pass at the Ocho Rios RIU Resort. All you want lunch buffet and endless open bar, swimming pool, snorkel gear and much more on this nice Ocho Rios Excursion. 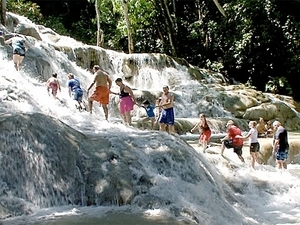 Climb the famous Ocho Rios Dunns River Falls! 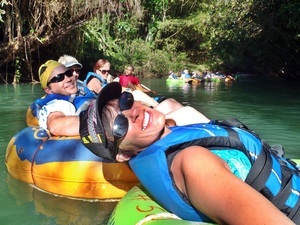 Enjoy River Tubing down the White River! 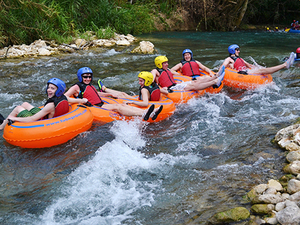 Two fun activities in one Ocho Rios cruise excursion. A watersports packed day with river tubing on the White River and a climb up Dunn's River Falls! Entrance fee to Dunn's River Falls included! 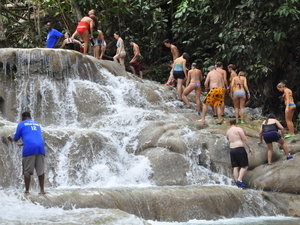 Climb the famous Dunns River Falls! Ocho Rios sightseeing and shopping! 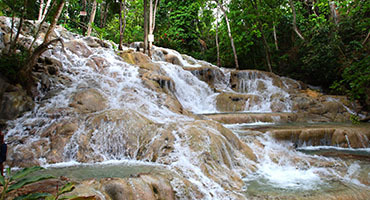 Experience a mixed cruise excursion in Ocho Rios sightseeing, shopping and a climb up the famous Dunns River Falls. 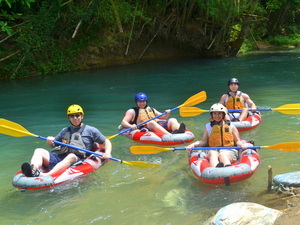 Choose River Tubing, Rafting Kayaking or River Boarding at Rio Bueno! Delicious Jamaican Lunch and one beverage! Beach break at Bengal Beach! Enjoy two of the top attractions in Jamaica. With this combo, you will climb the famous Dunns River Falls and then either raft, kayak or tube on the Rio Bueno River. You will also have time at Bengal Beach and enjoy a delicious complimentary Jamaican lunch! Available at all 3 cruise ports in Jamaica - Falmouth, Montego Bay and Ocho Rios! English speaking certified river tubing guide! All necessary river tubing gear! Enjoy a private beach break afterward - bonus! Enjoy class 1 and 2 whitewater rapids! A fun and action packed Ocho Rios Excursion day on the river...white water tubing followed by some great relaxing time on the private beach. Great for the whole family. 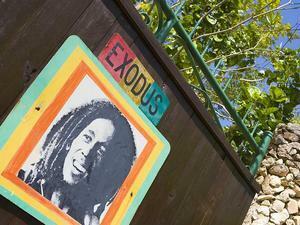 Admission and guided tour of Bob Marley's house, museum and resting site! Traditional jerk style lunch and a beverage included! Experience a scenic hilly rain forest ride to Bob Marley's legendary birthplace and final resting spot. Learn the history of the King of Reggae. Enjoy a traditional "jerk style" lunch. Round trip transportation from your Ocho Rios cruise ship terminal included if 4 in your group or combined (otherwise available at a nominal fee)! Ride and swim your horse in the ocean and enjoy beach break included afterward! 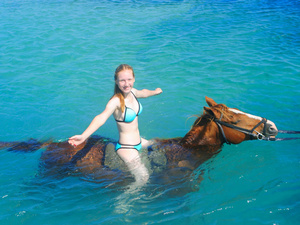 Now is your chance to try horseback riding and swimming right in the Caribbean Sea! Enjoy trails, hills and beach riding. 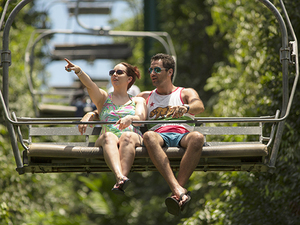 Entrance fees to zip line course and Dunn's River Falls included! Shopping opportunities at both locations! Great Ocho Rios Jamaica cruise excursion with Zip-line, Dunn's River Falls and Ocho Rios sightsee highlights! 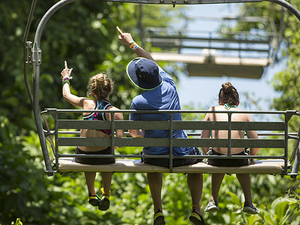 Three great Ocho Rios Shore Excursions for a fun and exciting day - Ziplining, Dunn's River Falls and Ocho Rios Jamaica City Sightseeing! Entrance fees to Prospect Plantation and Dunn's River Falls included! Welcome rum or fruit punch at the plantation! Explore Prospect Plantation - sample fruit! Ocho Rios city sightseeing and shopping! Lots to see and do on this guided combo Ocho Rios excursion in Jamaica - enjoy sightseeing, Prospect Plantation, shopping and climb the famous Dunns River Falls! 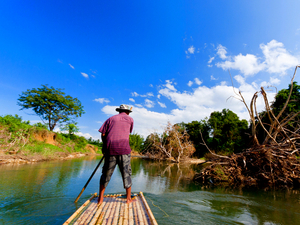 Enjoy the relaxing bamboo rafting ride on the White River! Climb the legendary Dunn's River Falls! 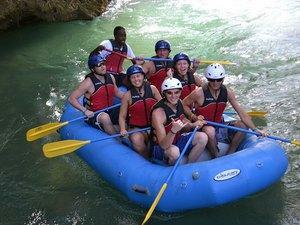 Experience both bamboo rafting on the White River and climb the famous Dunn's River Falls. This excursion is available at all 3 cruise ports in Jamaica - Falmouth, Montego Bay and Ocho Rios! All river rafting gear included! 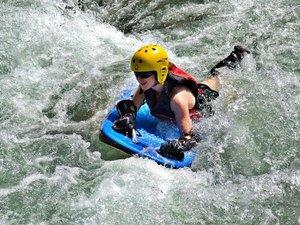 Enjoy class 1 and 2 whitewater rapids, fun and safe for whole family! Looking for fun in Jamaica? Enjoy an exciting class 2 rapid white water River Raft adventure followed by some relaxation time. All necessary river boarding gear! Boogie Boarding meets white water rapids! A fun new way to enjoy the thrill of gentle river rapids plus some great private beach time! Comfortable and resistant inflatable kayak with back support! Safety gear including helmet and life vest! Class 1 and 2 Rapids River Kayaking! Fun and safe for all ages! Kayaking down gentle but exciting white water rapids. Get wet, have a blast! Round trip transportation from your Ocho Rios cruise ship terminal included (see notes)! Enjoy a private beach break afterward! Explore the hills and countryside of Jamaica on a private estate. Bike Ride and Hike plus time on the beach too!